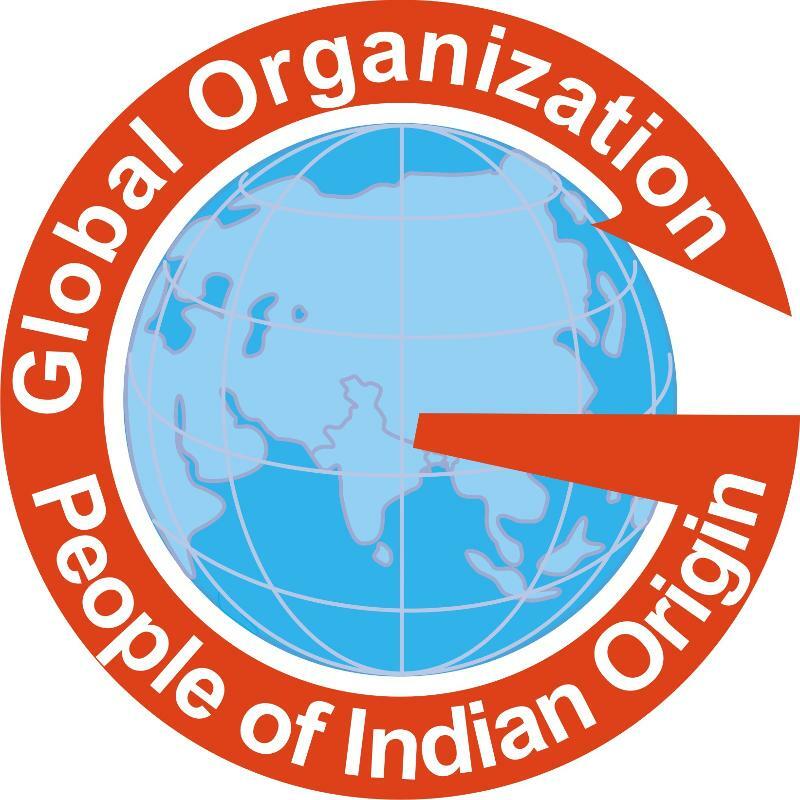 The Global Organization of People of Indian Origin (GOPIO) has condemned the recent shooting death of Indian American Srinivas Kuchibhotla of Kansas. GOPIO Chairman Dr. Thomas Abraham said that the "apparent hate crime" is vicious and GOPIO stands together with the victims' families at their time of distress. The 32-year-old Indian engineer Kuchibhotla, who was working in aviation systems for Olathe-based Garmin Ltd, died after he was shot by navy veteran Adam Purinton who, according to witnesses, yelled "get out of my country" and "terrorist" at a bar on the night of February 22nd, 2017 before opening fire. Kuchibhotla's colleague Alok Madasani, also an engineer from Hyderabad, was critically injured in the attack. Another bar patron, 24-year old Ian Grillot, who had tried to apprehend the gunman, was also injured in the shooting and reportedly put his life in risk to save the Indians. "Our thoughts are with the victims and families shaken by the shooting in Kansas and we do not have place for senseless acts of violence in our country,' said GOPIO President Niraj Baxi. GOPIO news release stated that any act of violence fueled by hatred, xenophobia and prejudice cannot be tolerated. The local and federal law enforcement must investigate the shooting as a hate crime. "The FBI and other state agencies must initiate quick legal proceedings against the murderer and the incident must be treated as a hate crime," said GOPIO Vice President Ram Gadhavi. We also want White House to issue a statement against such senseless violence against immigrants who are legally in America and contribute to the economy of our country," said Dr. Rajeev Mehta, GOPIO's International Coordinator for North America. Addressing the Joint Session of the US Congress, President Donald Trump condemned the shooting in Kansas. GOPIO has also urged the community to sign the petition to the White House https://petitions.whitehouse.gov/petition/indian-engineers-target-hate-crime. GOPIO Chapters have also planned Candlelight Vigils around the US. 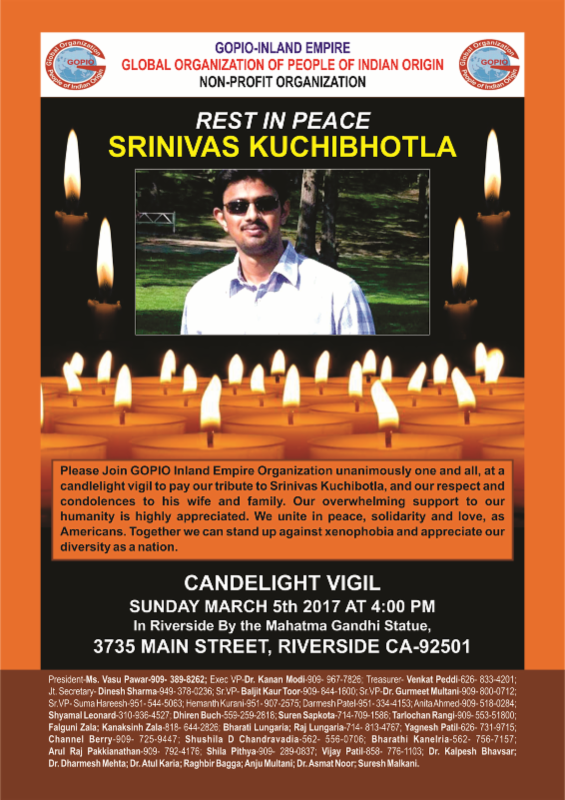 One such vigil has been planned in Riverside, Southern California by GOPIO-Inland Empire Chapter on March 5th. AFRICAN SAFARI AT DISCOUNTED RATES IS BEING ARRANGED FOR CONVENTION ATTENDEES. Contract: Ishwar Ramlutchman. Convention Convener and International Coordinator for Africa, Tel: +27-833578747. E-mail: acindustrial@mweb.co.za. GOPIO has started a signature campaign requesting Prime Minister to allows Diaspora Indians to exchange or deposit their demonetized notes. Diaspora Indians with foreign citizenship and OCI/PIO card holders are being turned away by Reserve bank of India from depositing their demonetized currencies, although govt. had announced that it has extended the date for NRIs to deposit their currencies till June 30th, 2017. However, Diaspora Indians with foreign citizenship after standing outside the gate for several hours and when they reach the gate, they have been told that only NRIs with Indian passport can go inside. It is a major issue to be corrected. GOPIO in its appeal to the Prime Minister wrote that Indians who left India to earn their living should not be deprived of their hard-earned money because they could not come during the period, Nov. 8th to December 30th, 2016. GOPIO International Executive Council requests you to sign up this petition and forward this e-mail to your family members and friends (including in India) and request them to sign up and support this campaign. Please visit GOPIO website www.gopio.net and sign the petition at the link provided in the home page. Attached herewith, please find feedback from Diaspora Indians on this issue Petition on Demonetization - Feedback from OCI/PIO Card Holders If you read some of the comments, Diaspora Indians are saddened and frustrated. India should not short change them and ignore their request. They are the most reliable and valuable people India has around the world to promote India's interest. They are not asking for any favor. They just want their hard-earned money to be exchanged or deposited in their NRO account or deposit this amount at a bank such as the State Bank of India which is not far away from their home in India. That is a fair request. GOPIIO hopes that GOI will heed to this request. You could further write your concerns to the Prime Minister at his website www.narendramodi.in, Finance Minister at fm@finance.nic.in or Revenue Secretary at rsecy@nic.in. The intended restraints on H-1B visas have instigated Prime Minister Narendra Modi to urge the US to take a "far-sighted" perspective on the movement of Indian professionals to the US. The Prime Minister felt that skilled Indian talent has contributed to enriching the US economy and the work of Indian professionals in the US, has helped both the US and India to prosper. Indians graduating from US universities claim more than 50% of the 65,000 plus 20,000 H1B visas and L1 intra-company transfer visas, helping to generate nearly $100 billion (65% of the country's $155 billion annual revenues) from its InfoTech sector alone. These revenues will be adversely affected if the US administration clamps down on these visas. As of now, Indian professionals are granted a large number of the visas that allow them to stay in the US for six years. In addition, Indian professionals, many of whom became US permanent residents and citizens, have founded many companies in the US and have generated tens of thousands of jobs and billions in revenues. Indian-born Microsoft CEO Satya Nadella, who called on Modi recently, is a prime example of an Indian achiever who has helped the US economy. A high-level team from the National Association of Software and Services Companies (NASSCOM) arrived in Washington DC to lobby with the administration against this proposed tight visa regime for guest workers. Among other benefits to the US economy, this team aims to show how Indian companies have generated more than 400,000 jobs in the US. In his meeting with visiting US lawmakers, Prime Minister Modi stated that he was encouraged by the "shared commitment to further strengthen ties that have grown deeper in the last two and a half years". These lawmakers plan to meet with top government officials, politicians, members of think-tanks and non-governmental organizations. GOPIO is alerting those holding PIO card to take immediate steps to convert it to OCI Card. If you have a PIO card issued by Govt' of India, which so far served as your visa to India, will be terminated on June 30, 2017. You must act before this date to apply to convert your PIO card to an OCI card for free. After this date, you will have to start afresh an application for OCI card and pay the fee. To apply for conversion of PIO to OCI, go to https://passport.gov.in/oci. One can complete an application and give attachments on line. One can also use this to apply for a new OCI for your spouse (Indian or foreigner) and for children. President: Mrs Kritilata Ram, Vice President: Mrs Bharatee Awotar, Secretary: Mrs Aryawattee Boolauky, Assistant Secretary: Mrs Gomatee Ramyead, Treasurer: Mrs Kheshi Pooja Bhujun and Assistant Treasurer: Mr Ashish Kumar Ramyead. Besides the above six established main objectives, the GTNM strives hard to promote the Indian diaspora of Mauritius, nationally and internationally through cultural, economic engagements, educational, social and humanitarian undertakings. We also promote all means of expression and communication, meetings and exchanges between the Indian diaspora of Mauritius both Regional and National levels and the rest of the world. To meet the above objectives the GNTM has constituted small committees which will be called 'CELLS'. Each cell will have a Chairman or Chairperson who will take over explicit activities which re-join the objectives of the GTNM. The chairperson of these committees are: Culture/Tradition - Mrs Vidya Sookun, Academic/Educational/Vocational, Medical/Health - Dr Rajeev Samjhu, Social/ Charity/Entrepreneur - Mr Sachidanand Boolauky, Youth/Sports - Miss Rachna Tashali Ram and Women's Council - Miss Zaahirah Mahamode. 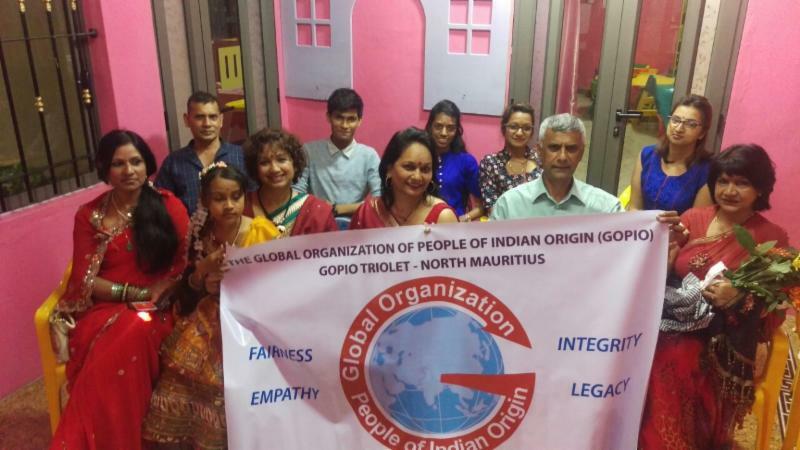 Photo: GOPIO Triolet North Mauritius officers at a recent meeting: From l. to r. Front row: Poonam Mootia (Public Relation Officer), Kritilata Ram (President), Amita Boolauky (Secretary), Dr Ally Aullear (Member), Kalianjali Bhoyroo (Member); back Rao, from l. to r.: Sudhish Boolauky (Chairperson Social Cell), Kesheerai Seebaruth (Member), Lekha Vidushi (Member), Rachna Tashali ( Chairperson Sport Cell) & Prerna Ramcharitur (member). The officer visited the inmates of Calebasse, the Krishnanand Sewa Ashram and celebrated Christmas. Present at the visit were President Mrs. Kritilata Ram, some members and the Ramyead family. The visitors from the GOPIO Triolet.North Muaritius distributed gifts and Christmas cake to the inmates who thanked them and conveyed their blessings to the families of the GOPIO members. Mrs. Ram and the others were encouraged by the experiences of the inmates and wished them a long and healthy life. 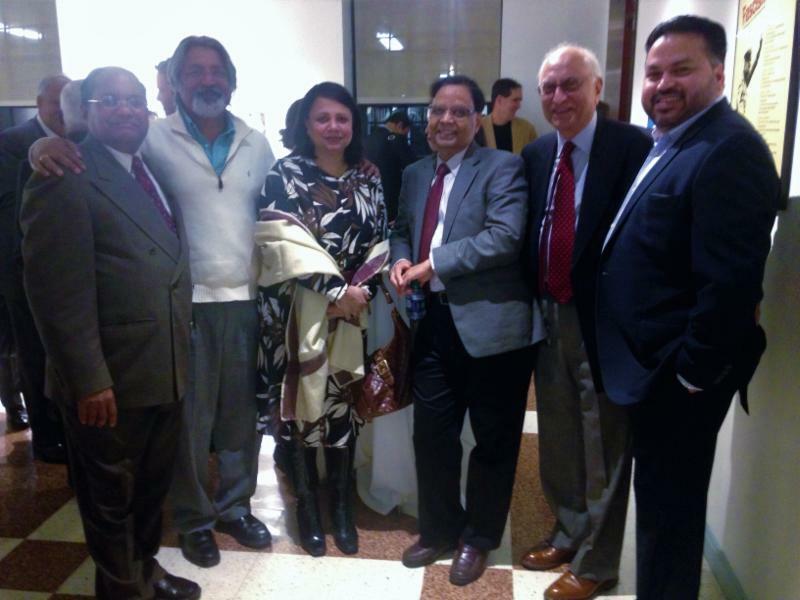 GOPIO-CT officials were invited by Columbia University's School of International and Public Affairs (SIPA) to a lecture by India's Niti Ayog Vice Chairman Prof. Arvind Panagariya on February 6th at the Italian Academy at Columbia University. GOPIO-CT President Anita Bhat, Immediate Past President Shelly Nichani, Treasurer Biru Sharma and Trustees, Dr. Thomas Abraham and Sanjay Santham interacted with Prof. Panagariya before and after the talk. Prof. Panagariya, holder of Jagadish Bhagvati Chair at Columbia University, is currently on leave of absence from Columbia since he took up the position in India. 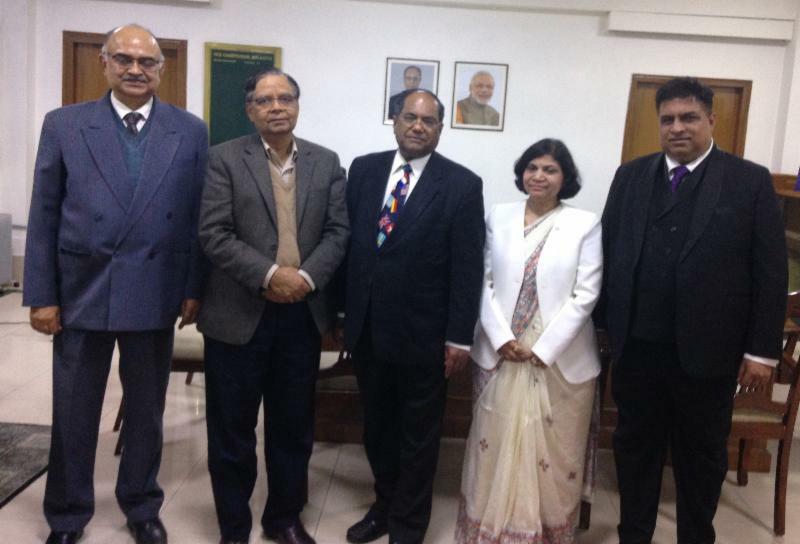 GOPIO-CT had hosted Prof. Panagariya earlier in 2008 after his book "The Indian Emerging Giant" was published. Contact: Anita Bhat, President, GOPIO-CT, TeL: 203-324-2935, e-mail: abnewyork71@gmail.com. Global Young Achievers Awards Night (GYAAN) a signature event of GOPIO Sydney was organized on Feb 11, 2017 at Castle Grand Function Centre, Castle Hill to recognize and honor students of Indian origin for their outstanding performance in HSC exams. The students, whose Australian Tertiary Admissions Rank (ATAR) was more than 97% included Rohan Krishnaswamy (ATAR 99.95); Pritham Kadappu (ATAR 99.95) Jash Vanjara (ATAR 99.85); Kabir Agrawal (ATAR 99.70); Sahil Arora (ATAR 99.55); Srichakra Motamarri (ATAR 99.55); Sagarika Dey (ATAR 99.45); Vanishka Virmani (ATAR 99.00); Seethal Bency (ATAR 98.40); Karthik Subbana (ATAR 98.40); Harjap Singh (ATAR 98.35) and Sunaina Salgame (ATAR 97.20). Balvinder Ruby, President, GOPIO Sydney, congratulated the students on their outstanding performances. Besides this academic category, two individuals of Indian descent, Prof. Vijay Kumar and Vinay Kolhatkar along with the FoxG1 Foundation Australia were recognized for their community service work. Prof. Vijay Kumar (Community Service- Nuclear Medicine) was appointed as a Member in the General Division of the Order of Australia (AM) for his service to Medical research in Nuclear Medicine and biology, and to the community. He is a Clinical Professor at Sydney Medical School, University of Sydney and was the President of Australia & New Zealand Society of Nuclear Medicine. Vinay Kolhatkar (Community Service - English Literature) is the author of The Frankenstein Candidate. He is also the author of A Sharia London and the editor of The Savvy Street. FoxG1 Foundation Australia (Community Service-Health) is a Health Promotion Charity with a mission to provide hope and support to individuals diagnosed with FoxG1 and to fund research and clinical trials to find a cure for this disease. This year GOPIO Sydney focused on the theme of Family Violence and the Indian Support Center, that champions the causes of the family violence, along with other concerns, was selected and $1,330 was raised for this cause. Although the gravity of family violence is recognized and many women seeking help from the National Family Violence helpline are Indians, most of the associations concentrate only on victim support. Balvinder Ruby emphasized the need to also identify the root causes, such as working on preventive measures through community consultation. Prof. Michelle Simmons Dean of Education, presided as chief guest and thanked the sponsors for the generous support, the media for spreading the message and the performing artists to make this occasion colorful and entertaining. GOPIO International called up a meeting of GOPIO-New York, which has not been a good standing chapter for the last couple of years, even though GOPIO-New York has been the first GOPIO Chapter. As per GOPIO-Executive Council discussion, GOPIO Vice President in charge of chapters Mr. Ram Gadhavi called a meeting of the GOPIO-New York members as well as others who want to become chapter members. It was held at the Indian American Kerala Center, Elmont, NY. The meeting was chaired by GOPIO International Chairman Dr. Thomas Abraham. Founder President, GOPIO-New York Chapter, Mr. Lal Motwani briefly shared with the attendees, some of GOPIO-New York Chapter's accomplishments since its inception in 2003. Dr. Abraham mentioned the most active GOPIO-Chapter, Connecticut's "exemplary" accomplishments over the years; this chapter's focus being civic and community-oriented events and activities. After discussing how to make the chapter active again the following officers were elected with a floor nominations. 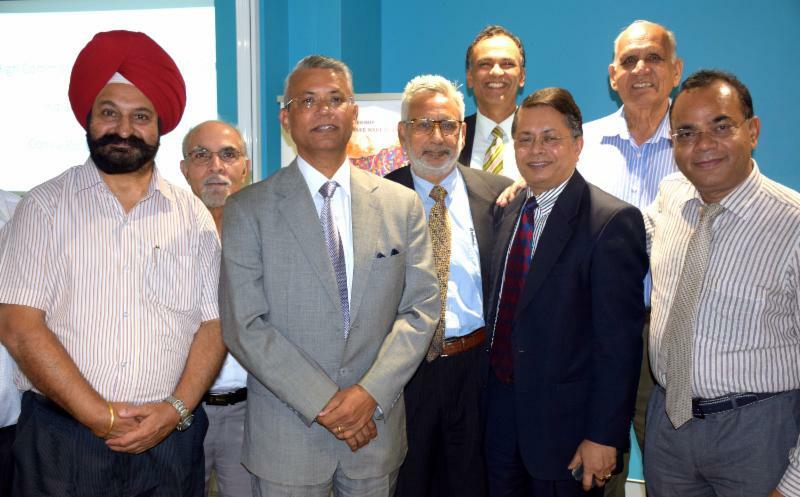 Mr. Lal Motwani was endorsed as Honorary Chair of the GOPIO-New York Chapter will Dr. Abraham will serve as an Advisor. 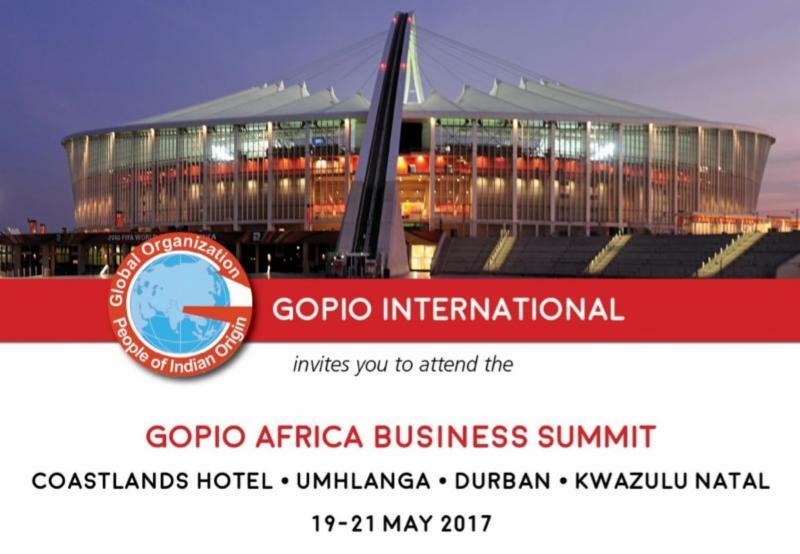 GOPIO-New York plans to undertake several activities in 2017. Contact: Beena Kothari, 631-988-1280, beena.kothari@gmail.com. 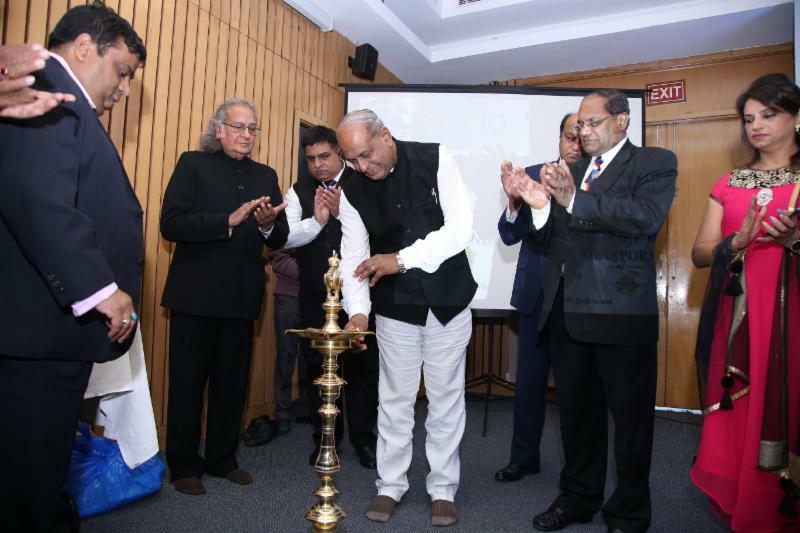 Under the leadership of Mr. Dhiraj Ahuja, the GOPIO Delhi/NCR chapter was launched on December 23, 2016 at the India International Centre in New Delhi. The chief guests were Mauritius High Commissioner Jagdishwar Goburdhan and GOPIO International Chairman Dr. Thomas Abraham. In his remarks, High commissioner Goburdhan called upon all Indians to visit Mauritius. Photo above: GOPIO-Delhi/NCR being inaugurated by lighting of the lamp by High Commissioner Jagdishwar Goburdhan as other dignitaries and GOPIO officials look on. Chairman Abraham said that GOPIO chapters in India will serve to bring the Diaspora Indians closer to India by providing people to people contact. GOPIO Academic Council Chairperson Dr. Neerja Arun said that chapters in India can host Diaspora youth during their trips to India. GOPIO's officer for Liaison with Govt. of India Mr. Sunil Rawla was also present at the chapter inauguration. Also present was Ms. Alka Parekh, Board member of Ministry of Tourism and Culture. Attended by over 100 people, the occasion also saw the installation of the members of the Executive Committee for this new chapter headed by Dhiraj Ahuja as its president. Other officers are: Vice President Girish C. Gupta, Secretary Harish Aneja, Treasurer Sunil Garg. 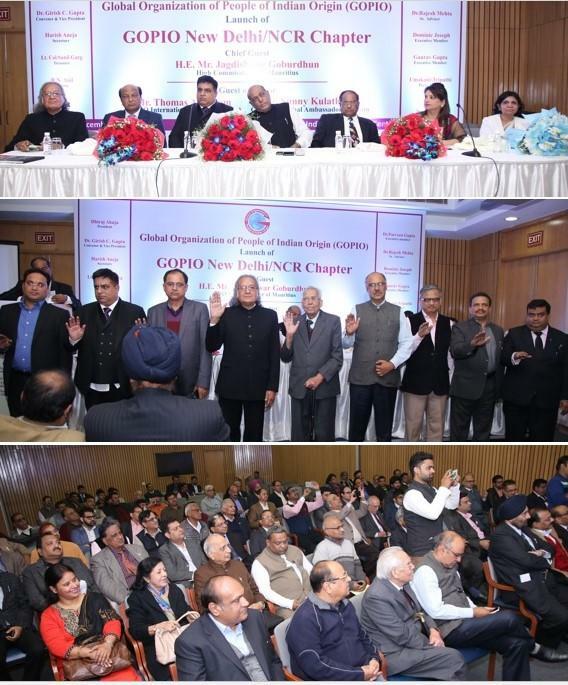 Photos topmost: The head table at GOPIO-Delhi/NCR Inauguration showing Chapter officials with dignitaries; from l. to r.: GOPIO-Delhi/NCR Vice President Dr. Girish C. Gupta, Indian Oil Refinery Director Rajesh Ahuja, Chapter President Dhiraj Ahuja, High Commissioner Goburdhan, GOPIO Intl. Chairman Dr. Abraham, Ms. Alka Parekh and Dr. Neerja Arun; middle photo: chapter officials are being inducted with Oath of Office by Dr. Abraham; bottom photo: audience at the launch. GOPIO officers also called on Niti Ayog Vice Chairman Dr. Arvind Panagariya and discussed on how GOPIO can help mobilizing resources of Diaspora Indians for India's development. 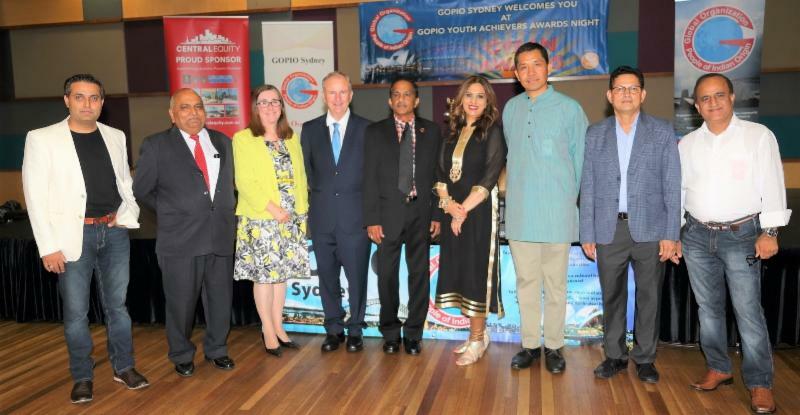 Mr. B. Vanlal Vawna, Consul General of India, Sydney introduced the new High Commissioner to community leaders of Sydney including GOPIO Sydney and Sydney NW Chapter leaders. Dr. Ajay M. Gondane addressed the community leaders, expressed goodwill and cooperation from all community members. Dr. Gondane specifically requested for a copy of "Global Indian Diaspora" coffee book during the introductory session. Dr. Ajay M. Gondane joined the Indian Foreign Service in 1985. He worked in various capacities in the Indian Embassies & Consulates including in Damascus, Baghdad, Vienna, Ankara and New York. He was High Commissioner of India to Papua New Guinea, Solomon Islands & Vanuatu. He also worked earlier in SAARC, West Asia North Africa, Bangladesh-Myanmar Divisions. He was the Coordinator for the XIV SAARC Summit in New Delhi, 2007. Photo - Dr. A.M. Gondane with some community leaders of Sydney. GOPIO SFO Redwood city joined hands with American Red Cross to respond quickly and effectively to a series of severe storms that pounded Northern California last week. They manned especially in San Jose and many parts of Alameda and San Mateo counties in California. The Northern California Coastal Region teams opened six different shelters that provided a temporary haven for families displaced from their homes by local flooding. GOPIO SFO Redwood City team members provided much-needed meals and snacks, distributed relief supplies through bulk distribution efforts, and continued to meet one-on-one with affected individuals and families. 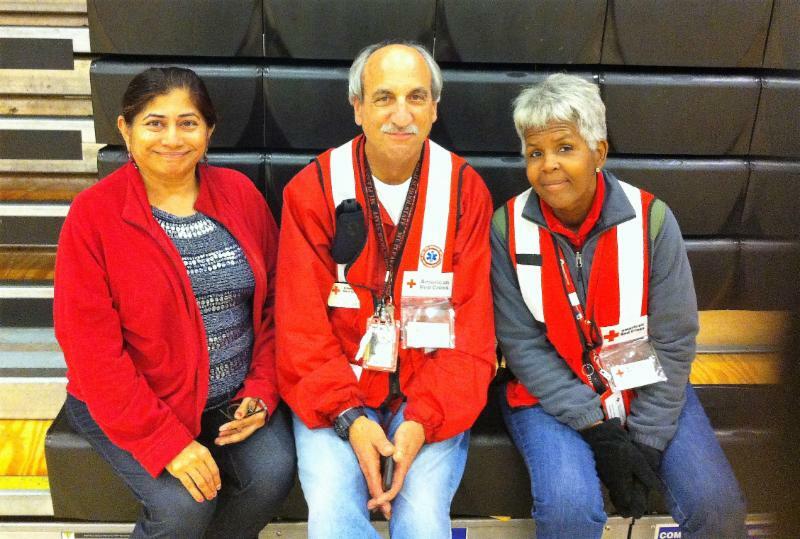 Photo: Rini Johar, President of GOPIO SFO/Red Wood City with American Red Cross volunteers Ken Burns and Janice Kent. Gopio Triolet (North Mauritius) President Kritilata Ram, Assistant Secretary Ramyead and some other members participated in the annual Yaj ceremony organized by the Apravasi Ghat Indian Indentured Immigrants Arrival Celebration Committee. 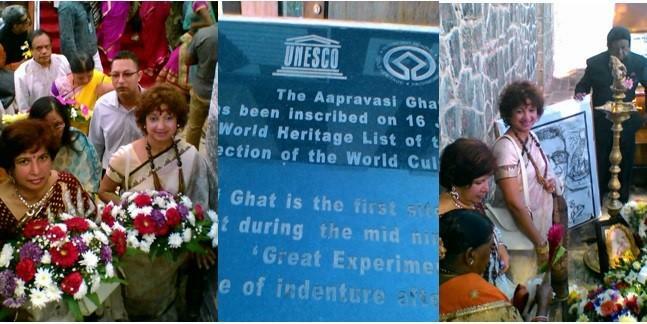 This was chaired by Mrs Sarita Boodhoo at the site of the Apravasi Ghat. Two officers from the Indian High Commission attended this ceremony, along with members of the Apravasi Ghat Trust Fund Committee and officials of various non-governmental organizations. 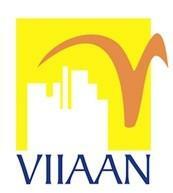 This Yaj, held on November 2nd commemorates the landing of the first indentured laborers in Port Louis. The first Indian immigrants arrived in Mauritius on 2nd November 1834, were later followed by around 462,000 immigrants who conquered the Apravasi Ghat to change the country's history, which forever altered its demography, economy and politics. The Yaj (sacrifice) commemoration symbolizes the sacrifices made by these immigrants. The participants paid homage to their forefathers and to Chacha Beekrumsing Ramlallah, the founder and Editor-in-Chief of the Mauritius Times and a leader who worked for the recognition of the Apravasi Ghat as a historical monument. This commemoration was followed by Bhopuri songs and dances. The Bhojpuri song, Geet Gawai has been sent for inscription on the world list of intangible heritage of UNESCO for 2016, by the government, so that it is recognized as a Mauritian Cultural Patrimony. In her speech, Mrs. Sarita Boodhoo emphasized how in 1987, the "coolie ghat" or "immigration depot" became known as Apravasi Ghat and was established as a National Monument. Later in 2006, the Apravasi Ghat became the first Indenture Site in the world to be inscribed on UNESCO's list of World Heritage Sites. This is the only place outside India where descendants of Indian Immigrants have created a pilgrimage spot, such as Grand Bassin or the Ganga Talao where annually, almost half a million Indo Mauritians worship. The Apravasi Ghat, Grand Basin or the Ganga Talao, and the Indian Immigration Archives at the Mahatma Gandhi Institute, make the Mauritian experience unique in the history of Indian Diaspora. Nikki Haley has scripted history by becoming by becoming the first Indian American to serve in a Cabinet rank position in any U.S. presidential administration. Speaking about Ms. Haley's appointment as the US Ambassador to the UN, White House press secretary, Sean Spicer stated that she was one of the most respected governors in the country. He said "Ambassador Haley has a proven track record of bringing people together, regardless of their background or differences, to great opportunities for bettering her state." Third term MP of Indian origin, Kanwaljit Singh Bakshi has been appointed by New Zealand Prime Minister, Bill English, as a Parliamentary Private Secretary to assist the Minister of Police. In this role Mr. Bakshi, along with the other Parliamentary Private Secretaries will ensure that all communities are better served by the government. Mr. English affirmed, "Keeping all of our communities safe is a priority of this Government and Mr. Bakshi will help the Minister of Police in this regard." Indian Americans, TV Asia's Chairman, H.R. Shah, sitar and surbahar player and composer, Imrat Khan and MIT professor and CEO of edX, Dr. Anant Agarwal were among the recipients of this year's Padma Shri awards. This year, these three awardees were the only Non-Resident Indian recipients. Shah is also the chairman of Bharatiya Vidya Bhavan (USA) and the Director of the Indian American Center for Political Awareness (USA). Earlier, he was awarded the 2005 Ellis Island Medal of Honor. While expressing his gratitude to his family and friends, Shah stated that he was humbled, honored and overjoyed that his work of more than 35 years had been recognized. Khan, the younger brother of sitar maestro, Ustad Vilayat Khan, hails from a musical family and he received this award for his contribution to arts and music. He tours in Europe, USA, and East and Southeast Asia and teaches classical Indian music and instructs sitar students at Washington University in Saint Louis. Boston-based Dr. Agarwal, who received the Padma Shri in the education and literature category, was also awarded the prestigious Harold W. McGraw, Jr. Prize in Education, last year. He has an Undergraduate degree from IIT, Madras and a Ph.D. from Stanford. Currently, he serves as CEO of edX, an online learning destination founded by Harvard University and Massachusetts Institute of Technology (MIT). Dr. Agarwal who has served as the Director of MIT's Computer Science and Artificial Intelligence Laboratory, has earlier won the Maurice Wilkes prize for computer architecture, and MIT's Smullin and Jamieson prizes for teaching. He is the author of the textbook "Foundations of Analog and Digital Electronic Circuits." Hollywood producer and Wimbledon tennis player, Ashok Amritraj has been appointed Goodwill Ambassador of the United Nations for the Sustainable Development Goals (SDGs). The 2030 Agenda for Sustainable Development was adopted at the 2015 UN General Assembly. For the past 30 years, Amritraj has garnered global acclaim producing over 100 films and now he hopes to work with the UN in India to amplify awareness about the SDGs. With this appointment, he plans to leverage the power of the media to create diverse, socially-relevant content. Yuri Afanasiev, UN Resident Coordinator will seek Amritraj`s support in showcasing innovations and cutting-edge solutions to challenges in India. Three Indian-origin persons were awarded Australia`s highest civilian honor in 2017 for their contributions in the field of medicine and work towards the community. Purushottam Sawrikar, a medical practitioner, received the Order of Australia medal for his service to medicine and to the Indian community. Makhan Singh Khangure from Perth won the award for his work in neuroradiology, in education and for his contribution to many medical associations. Vijay Kumar, a nuclear medicine specialist and a researcher, received this award for his medical research in the disciplines of nuclear medicine and biology and for his work in the community. Indian American Uttam Dhillon will be a member of the legal team that will serve under White House counsel, Donald F. McGahn in compliance and ethics matters. He will be a special assistant to the president and associate counsel to the president. Earlier, Dhillon served as chief oversight counsel for the U.S. House of Representatives Financial Services Committee. Dhillon was also the head of the Department of Homeland Security`s Office of Counter-narcotics Enforcement. Recently Jyoti Bansal has sold his 8-year-old firm in the US, AppDynamics for $3.7 billion to Cisco Systems. AppDynamics develops software to help companies monitor their mobile apps and websites for bugs and fix them. Bansal got his first funding of $5 million for App Dynamics after many rejections from Venture Capitalists. AppDynamics then went on to raise more than $350 million in eight funding rounds from Silicon Valley. AppDynamics struck this deal with Cisco Sytems just before they launched its IPO, which valued the company at $2 billion, and Cisco agreed to pay almost twice the price. Jignesh Pandya, an Indian-American cricket enthusiast has announced plans to build eight cricket stadiums in the US at an estimated cost of USD 2.4 billion. Pandya, chairman Global Sports Ventures, feels he can professionalize cricket in the United States by creating a league that allows athletes to compete at the highest level and allow fans to enjoy the game at these world-class facilities. These cricket stadiums, Pandya said, would be a part of "lifestyle centers" comprising high-rise residential complexes, shopping centers, entertainment centers and office complexes. The eight proposed stadiums, each with a capacity of 26,000 people in New York, New Jersey, Washington DC, Georgia, Florida, Texas, Illinois and California, would create as many as 17,800 new jobs in the US, according to Pandya. Pandya feels that Americans, are the biggest sports lovers in the world and sports economy in the US is around $87 billion. This leads him to be confident that there is "a great market and a readymade audience for cricket in the US". He hopes that this plan will fructify when the International Cricket Council (ICC) hosts any tournaments in line with its strategic framework for USA cricket, potentially hosting the ICC World Twenty20 in 2024. Canadian- Indian, Dr Shawna Pandya will become the third woman of Indian origin to go into space after Kalpana Chawla and Sunita Williams. She has been shortlisted from 3,200 people enrolled in the Citizen Science Astronaut (CSA) program and will fly with eight other astronauts in space missions slated to take off by 2018. In addition to being an astronaut, Dr Pandya is a neurosurgeon, who worked in Canada's Alberta University hospital, Edmonton, an opera singer, writer, international taekwon-do champion and has trained with the Navy. She has also been a Silicon Valley entrepreneur, walked the runway as a model and has given a TEDx talk about resilience. Dr Pandya finds space travel as exciting and fascinating as medicine and her list of achievements prove that with ambition, motivation, and strong work ethics, there is no limit to success. 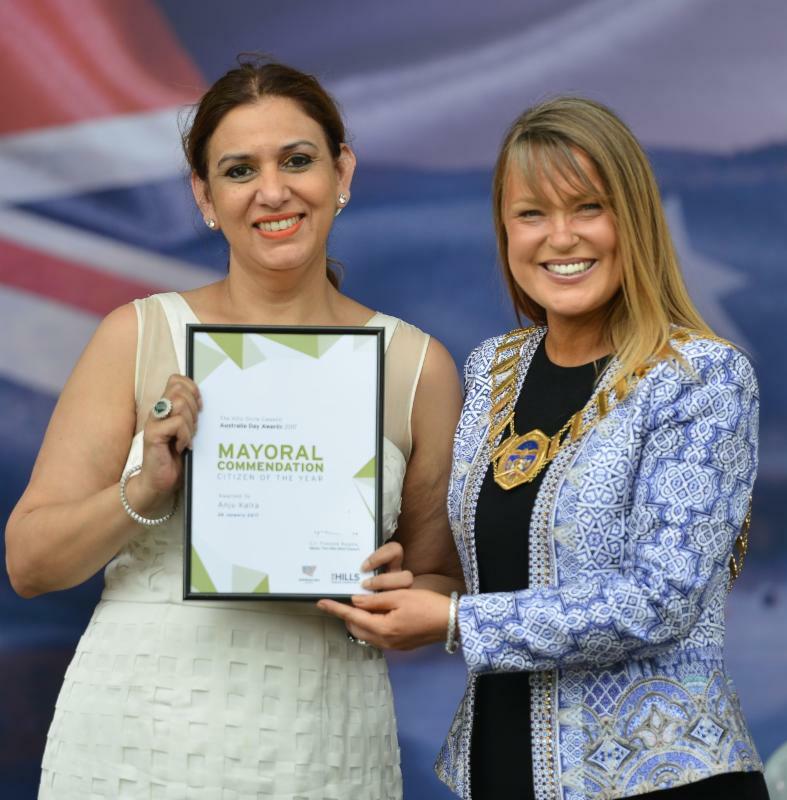 Ms Anju Kalra, Treasurer GOPIO Sydney was presented with a Mayoral Commendation Citizen of the Year Award by Clr. Yvonne Kean, Mayor, Hills Shire Council on Australia Day January 26, 2017 for her work in the community for seniors from multicultural backgrounds. Anju Kalra is an Aged Care and Dementia Consultant. Anju empower the seniors in our communities by providing them with information on aged care services and assists the seniors in linking with support services that enhances their independence and quality of their lives and helps them to make informed decisions for their lives. GOOD NEWS FOR PIO CARD HOLDERS: The Government of India is encouraging all PIO Card holders to convert it to OCI and has extended the deadline to June 30, 2017. If you convert your PIO to OCI before this deadline, you do not have to pay the Consular Fee of $275.